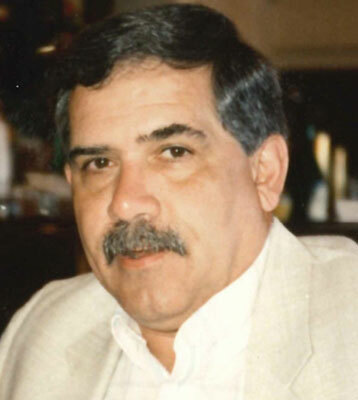 NEWTON FALLS – Ralph James “Jim” Capirano, 72, passed away Sunday, Jan. 25, 2015, at Vista Center at the Ridge, with his loving family by his side. Jim was born on Oct. 6, 1942, in Brownsville, Pa., the son of the late James Stephen and Josephine Rose (Gallo) Capirano. Jim grew up in Allison, Pa., and had lived in Newton Falls since 1974. Jim was a veteran of the U.S. Army. He was a supervisor at the General Motors plant in Lordstown, and just before he retired in 1998, he started Capirano’s Pizza, which he operated for over 17 years along with his son. Jim was a lifetime member and past officer of the Newton Falls AMVETS. He also was an avid golfer, enjoyed bowling in the leagues and was a huge Pittsburgh sports fan. His memory will be cherished by his daughter, Andrea L. Capirano and his son, Keith (Chip) Capirano, both of Newton Falls; two sisters, Angela Warchak and her husband, Allen, of Sebring, Fla., and Barbara Capirano of Warren; two granddaughters, Marissa and Morgan DiGirolamo; two grandsons, Gavin Lubianetzki and Isaiah Digrino; his ex-wife, Judith Capirano, with whom he remained lifelong friends; and his friend, Carol Nalley. Special thanks to the caring staff at Vista Center at the Ridge and Southern Care Hospice. Calling hours will be Wednesday at the James Funeral Home from 6 to 8 p.m., where funeral services will be held Thursday at 10:30 a.m.
Burial will be at Greenhaven Memorial Gardens in Canfield, where military services will be provided by the Newton Falls Honor Guard. Contributions can be made on his behalf to the Newton Falls Amvets Post 112. Arrangements have been entrusted to the James Funeral Home, 8 E. Broad St,. Newton Falls.